WELCOME TO 3RD GRADE IN ROOM 25 WITH MISS CHAPMAN!! Welcome to Room 25, where we are a community of learners! 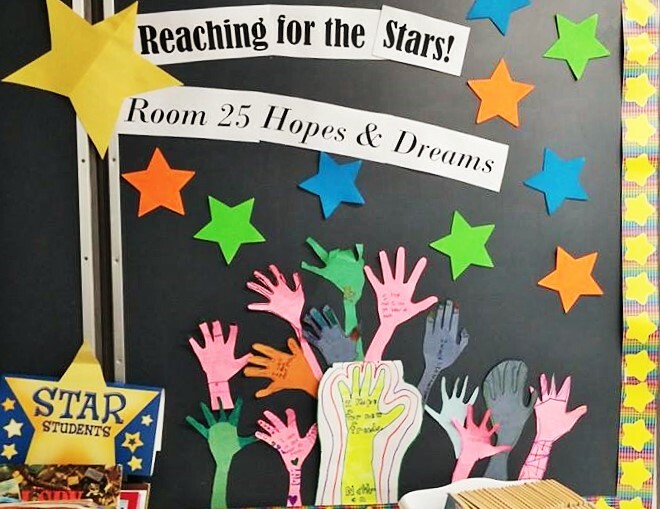 Third grade is a pivotal year where responsibility, independence and organization are taught in order to build good work habits. It will take training and time in school and at home to fall into routines and form these beneficial habits. Student's work is expected to be neat, with their name on every paper and passed in on time. That being said, I understand that much of this is new to them, so the first couple of months are more like training periods to help them learn the expectations and routines. School is a place where students not only learn reading, writing and math, but they also learn the importance of treating others with respect. 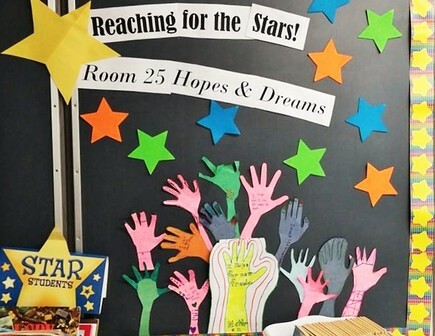 Since behavior goes hand-in-hand with academic success, Stoughton Public Schools sets high expectations for student behavior. We believe together, students, family and staff share the responsibility in ensuring that everyone in our schools feels safe, is able to learn, and is treated with respect and kindness. We will be creating a set of rules as a class, which every child will sign, promising that they agree to and will abide by these rules. In order to help students regulate their behavior and develop self-monitoring skills, I am using the "Ready to Learn" chart. Unlike many other management charts, this display gives children the opportunity to move fluidly between levels. For example, if a child moves from "Ready to Learn" down to "Think About It" for a poor behavior choice, they can earn their way back up the chart by making positive decisions for the rest of the day. Each student starts the day with a clean slate, on "Ready to Learn". Each student is assigned a number so their location on the chart is more discrete, as public shaming is not the goal behind this system. Lastly, students will earn tickets daily according to their level on the chart. They enter their tickets for chances to win prizes and coupons for special privileges. I may also use verbal warnings and the take a break station at the back of the room where students may calm down and regulate their emotions. If behaviors are severe or repetitive, then I will notify you, the parent, of the behavior within a timely manner. Parental support is imperative at this stage. Your role is most important during bedtime and homework time. Please be sure to check your child's agenda book nightly. Go through your child's back pack with him/her. Have your child complete their assignments as independently as they can, then correct any mistakes with them. Feel free to send any notes on/stapled to the homework, as I check it daily. You may choose to sign your child up for the "Homework Club". This helps the students support each other during homework. If your child is struggling with a particular assignment and you are unable to help them, stop and sign the paper and I will work with your child on it the next day. NO TEARS DURING HOMEWORK TIME! For each night that your child completes all of their homework, they will be able to hole punch their "Homework Punch Card." When your child gets 20 punches, they will get to choose a prize coupon! If you are able and would like to help, sign up to volunteer in the classroom! Opportunities include paper copying, chaperoning, guest reading, etc. during "Back to School Night" there will be a sign up sheet or you can always email me to sign up to help in our class. 1-2 volunteers per classroom work with the PTO and help contact parents etc. when needed. Sign up and enjoy the fun! All parents need to fill out a CORI form every year in order to volunteer in any form in the school. New this year, volunteers who will be in the building unsupervised must also get fingerprinted. The cost is roughly $35 and the scheduling sometimes goes a month out, so if you think you may want to volunteer/chaperone in the future, it would be best to do this as soon as possible. YES!!!! We celebrate everyone's birthday. Food cannot be part of the celebration, but we will sing to them and they will get a special class gift. By filling out the homework club sheet, your child will be a part of the club!!! This is a sheet of all the students in the class who have signed up with their phone numbers. It is a great way for them to support each other with homework or even set up play dates. Remember: I can't publish the information without your written permission. Your child may go to a different teacher to meet their individual needs. Those needs are determined by baseline, benchmark and MCAS results. Tests are given throughout the year to monitor progress. Topics covered in Walk-to-Read include fluency, phonics, grammar, reading comprehension, etc. ﻿Finally, I look forward to an amazing year and working with you to make your child's third grade experience meaningful and memorable!!! If you need anything, please contact me at j_chapman@stoughtonschools.org.